Joe’s approach to therapy recognizes that much of our emotional suffering is rooted in the struggle to reconcile our unexpected and painful experiences (both past and present) with our desire for a fulfilling and happy life. At times, we find that the ways we previously made sense of life no longer fit. These difficult seasons face us all with the challenge and opportunity to find and create meaning in spite of chaos. Even in the midst of sorrow we can discover how to embrace the moments of peace and deepen our capacity for joy. 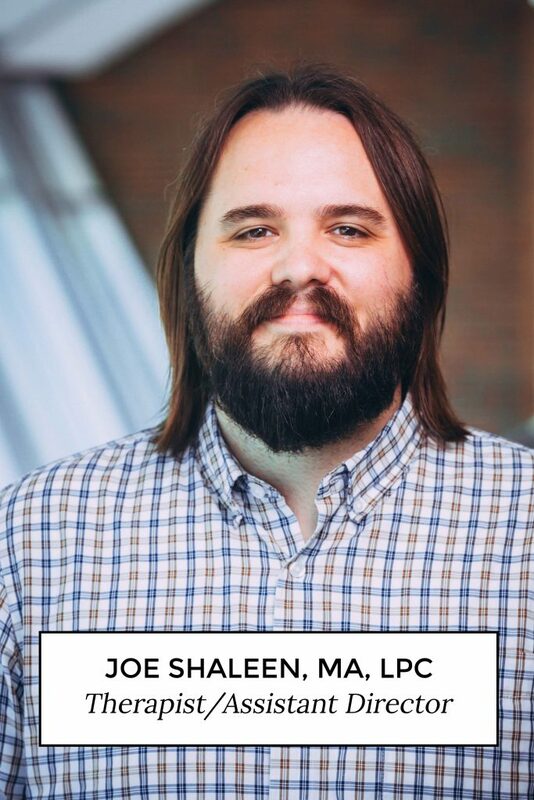 Joe holds a Master of Arts degree in Marital and Family Therapy from Southern Nazarene University, graduating in 2005, and has been a Licensed Professional Counselor (#3999) in the state of Oklahoma since 2008. Joe is also a trained Psychoanalyst, having completed the Certificate in Theory and Practice of Psychoanalysis (4-year post-graduate, doctoral-level) training program at The Institute of Contemporary Psychoanalysis in Los Angeles in 2015. Through the therapeutic encounter, Joe seeks to cultivate a supportive environment that facilitates the gaining of deeper self-awareness while collaborating toward more authentic and satisfying engagement in relationships with others. Joe partners in this process with adults and adolescents related to emotional distress, childhood/family-of-origin issues, relational difficulties, struggles with identity, divorce, grief/loss, trauma, spiritual issues, problematic sexual behavior, and many other concerns.